Tucked away in a little corner of Bukit Pasoh lies a quaint space in a boutique shophouse – a former gym, the linoleum floor is clean and the white walls pristine. Such is the setting for the latest exhibition from Asia’s premier natural history gallery and dealer – Set In Stone. 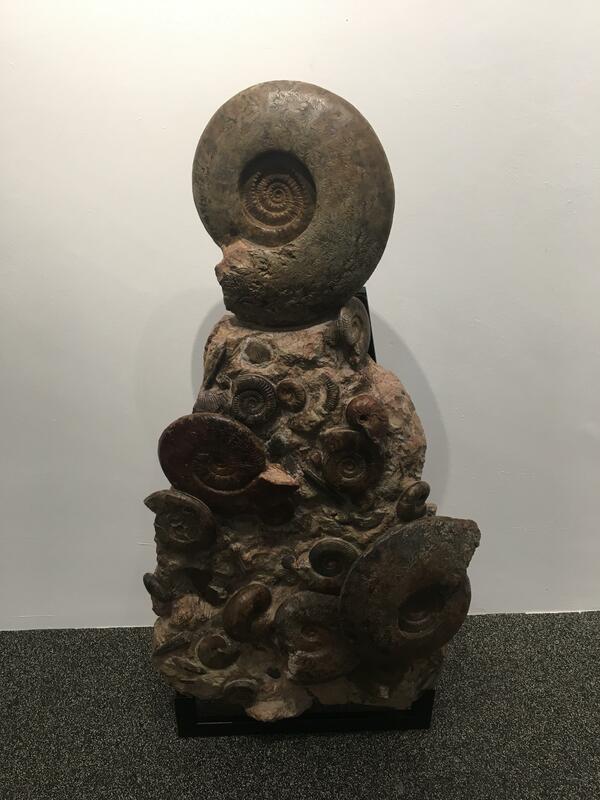 Marking their fifth exhibition since their launch in 2012, this new exhibition, curated by Set in Stone founder Cliff Hartono, brings together various specially selected fossil and mineral pieces acquired from around the world. 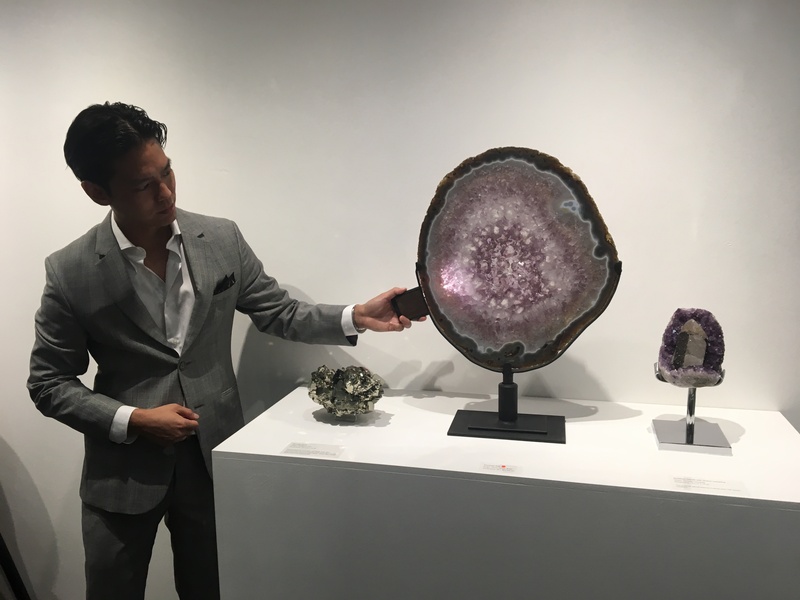 While initially specialising in fossils, Set in Stone has recently expanded their collection to include precious gemstones and other geological marvels, shifting from pure palaeontology to an interest in mysticism and geodes as the Gallery’s business grew along with the gallerist’s perspectives. 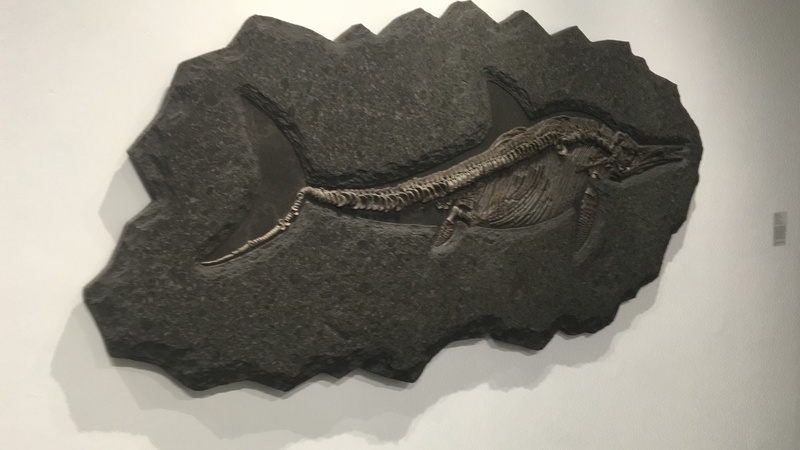 Highlights of the 2019 exhibition include a 180 million year-old ichthyosaur from the Jurassic period found in Germany, and a giant fossilised clam from Kenya that dates back to the Ice Age. One was also particularly fascinated by the various almost crystalline ammonites and nautilus specimens dating back to 100 million years, sourced from South Dakota and Madagascar, as well as the Fossil Fish Aspiration, a rare fossil of a fish caught eating another fish, excavated from Wyoming, dating back about 52 million years ago. As for the crystals, visitors can view a 43 kilogram crystal quartz sphere from the Minas Gerais region of Brazil. As to how it all began, Set in Stone founder Cliff Hartono first caught the fossil bug when he was given a trilobite at the tender age of 5. Leaving his banking job in 2012, he proceeded to pursue this passion for natural history full time, becoming something of an expert at it after travelling extensively around the world for a year to explore dig sites and to acquire extraordinary specimens. 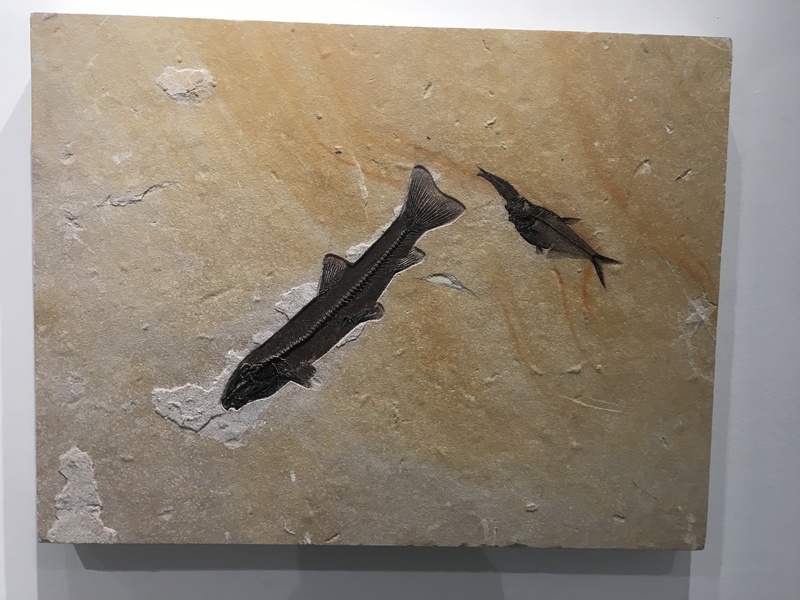 One then hopes to see how the work done by Set in Stone Gallery continues to seek out and continue to uncover and present extinct beauty and geological marvels in time to come.